A very delicate & simple combination of lustrous Burnt Brown & Ivory pearls that are sure to make an elegant statement on your wedding day! 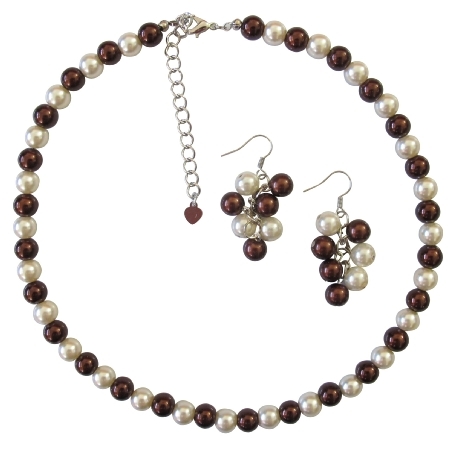 The Burnt Brown & Ivory Pearl Jewelry Set is perfect for brides or bridesmaids! Gorgeous beautiful affordable & reasonable jewelry.